I had the privilege of meeting Howl’s family in Jeonju. It’s hard to believe a year ago I was in Jeonju for EPIK's orientation. At that time I would’ve never imagined going back with a Korean friend to visit his family a year later. Jeonju will always have a special place in my heart, now for more reasons than one. Bibimbap in Jeonju, South Korea. August, 2012. We spent the day eating. 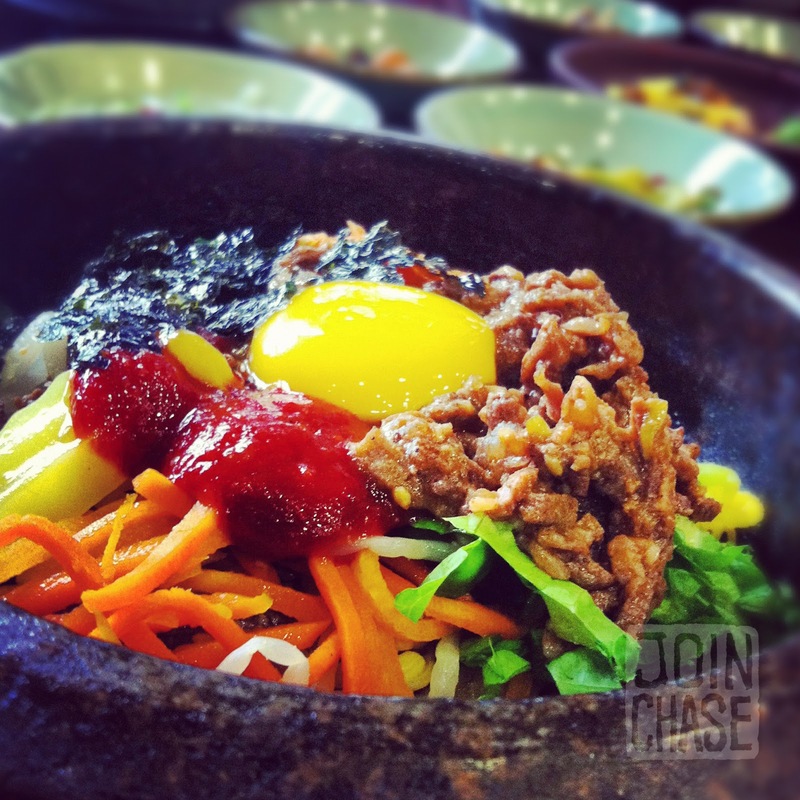 Our first stop was for bibimbap, a popular Korean dish. Jeonju supposedly has the best bibimbap in Korea. I don’t disagree that it’s delicious, but I’ve had better at Seoul Station. After lunch we headed out of Jeonju to visit Howl’s aunt. She lives in a more rural setting not far from the city. The area around Jeonju is beautiful. Green mountainous terrain covers most of South Korea. Howl’s aunt and uncle run a traditional teahouse, as well as make furniture out of exotic woods. It was neat to see the woodwork shop, and learn about the process Howl’s uncle goes through to make gorgeous tables that sell for thousands. We snacked on corn on the cob and Japanese rice cake as we chatted. Howl’s aunt had us come to the tearoom for some traditional tea before leaving. It was bitter going down, but had enough sugar to compensate. Walnuts, gingko seeds, and other medicinal ingredients made it taste more like a stew. 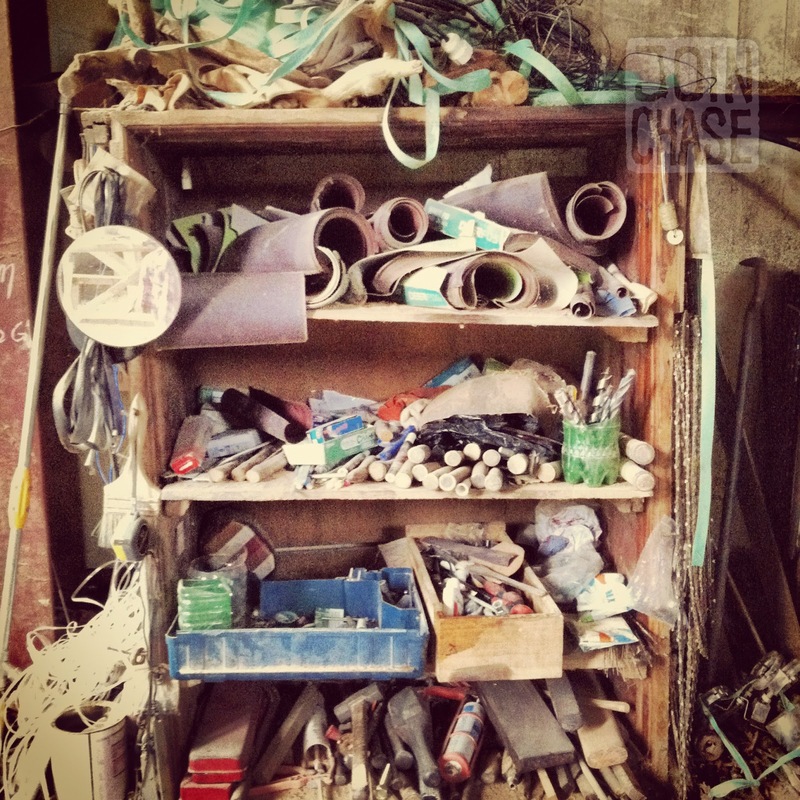 Howl's aunt and uncle's woodwork shop in Jeonju. Even though I was still full from gorging all day, we stopped to have noodles on the way to the bus station. Howl’s mother wanted to treat us to one of his favorites. The restaurant was packed; we ate quickly, and left in just a few minutes. I know meeting Howl’s family was a significant moment in our relationship. I especially enjoyed meeting his little brother. Yeachan is the same age as some of my students. We bonded right away. I look forward to seeing him again. I look forward to spending part of Chuseok with Howl’s family in September. Chuseok is a very important Korean holiday. It’s similar to Thanksgiving, and is a time for families to get together. We’ll make songpyeon (traditional rice cake), and eat a lot more. I feel blessed to have the opportunity to spend Chuseok with his family.